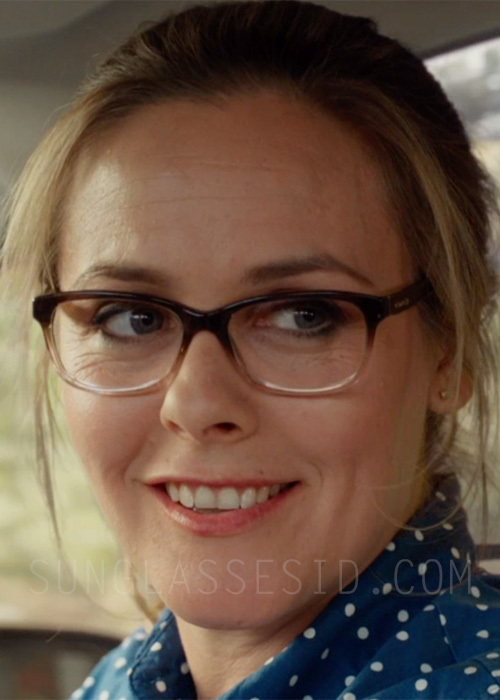 Alicia Silverstone wears Coach HC6089 eyeglasses in Diary of a Wimpy Kid: The Long Haul. Alicia Silverstone wears Coach HC6089 eyeglasses in the movie Diary of a Wimpy Kid: The Long Haul (2017). The glasses have a gradient frame, probably the color "Purple Brown Gradient", but are also available in other colors on FramesDirect, or on Amazon in black. Note that these can cme in two different frame sizes, so make sure to get the best size for you.